For my final It's Monday! What Are You Reading for May 2015, I decided to compile a list of all the books I read and reviewed in May. For a complete list of my reviews, you can check them out here! Each book links to my review and I will give a recommendation for another book to read that is similar to the one I reviewed. Also I will be posting a "Looking To The Future: June 2015" post today so you guys can see what books I intend to read this month! Beauty Queens by Libba Bray. Teen beauty pageant contestants survive a plane crash and have to learn to survive on a deserted island. Lots of strong personalities and a good, but predictable, story one that makes this one a fun and quick read. Similar to this read: Paper Towns by John Green. Pawn (Warchild #1) by Ernie Lindsey. A young girl becomes the leader of a faction of survivors as they journey across miles to meet up with the rest of their people to fight in the next civil war. 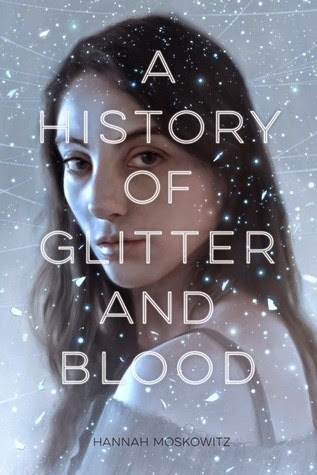 Similar to this read: Blood Red Road by Moira Young. Planet Urth (Planet Urth #1) by Jennifer and Christopher Martucci. A young girl and her sister are living in the future after a nuclear apocalypse. Together they face dangerous creatures and want to find others like them. Death Sentence (Escape From Furnace #3) by Alexander Gordon Smith. The third in the Escape From Furnace series in which Alex Sawyer tries to escape the place below Hell, Furnace Penitentiary. Follow Alex, Lee, and Simon in this third installment to see what other horrors lay within the prison walls. From a Distant Star by Karen McQuestion. After her boyfriend is diagnosed with cancer, Emma will do anything to help him recover, even if that means seeing a witch. What she doesn't know is that help is on its way in the form of aliens. Storm Siren (Storm Siren #1) by Mary Weber. Nym is an elemental which means she can make the elements perform to her will. Sold as a slave to multiple owners, Nym finally has a place where she can put her powers to use: but will they be helpful to the country or destroy the world as we know it? Siren's Fury (Storm Siren #2) by Mary Weber. Nym saved Faelen only to have Draewulf steal everything from her, including her Elemental powers. With the help of Lord Myles, will Nym be able to get back everything she hopes for or will she take the darker path? Omni (Omni #1) by Andrea Murray. A retelling of the love story of Paris and Helen. Pierce would give anything to be able to make a choice and when he saves Harmony from a crowd of people, these two starcrossed lovers realize they need to change the system in order to be together. The Weight of Guilt by Jon Ripslinger. After a car accident that leaves his girlfriend Riley dead, John Hawk moves in with his sister to escape the persecution of his peers. But what happens when the past repeats itself? The Witch Hunter by Virginia Boecker. Elizabeth Grey is the best witch hunter in the country, but when she is locked up for being a witch herself, she learns that there is more to magic than what she has been taught. The Corridor (The Corridor #1) by A.N. Willis. The Corridor has been stable for 17 years but when a surge in power leaves Stel the ability to travel between worlds in the palms of her hands, how will she use this ability and how will others use her? 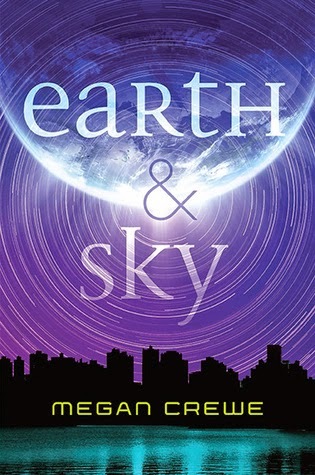 Earth & Sky (Earth & Sky #1) by Megan Crewe. Skylar has always been able to tell when things are wrong in the world, but doesn't know why. Then she meets Win, a time-travelling alien, who tells her that she can sense the shifts that are being made. Together they try to stop the alien government from controlling and colonizing Earth. Crown of Midnight (Throne of Glass #2) by Sarah J. Maas. The sequel to Throne of Glass, Crown of Midnight follows assassin Celaena Sardothien and her struggle to determine where her loyalties lay: with her king, her country, or herself. The Great Hunt (The Wheel of Time #2) by Robert Jordan. The second in a series of fourteen about Rand Al'Thor and his friends as they become more weaved into the pattern of the world and try to save the world from being broken and overtaken by The Dark One. 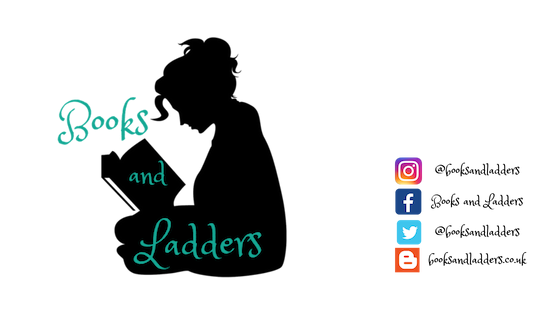 Sticks and Finger Bones (The Black Towers #1) by Jessica Minyard. Aurelia's father is murdered and she is kidnapped by Rycen who claims that he can answer the one question she needs answers to: Who killed her father? She searches for answers and becomes a woman and a leader. Pandora Hearts Volume 5 by Jun Mochizuki. The fifth volume of the Pandora Hearts series that follows Oz on his trip down the rabbit hole. I won't be reviewing this until I have completed the entire manga! Anomaly by Krista McGee. Thalli isn't like everyone else in her community. She doesn't know why logic and rationality doesn't come easy to her but she feels and questions why things happen. When she is sentenced to die, she meets John who explains to her about the Designer. Will Thalli be able to find her answers in faith? Want by Magus Tor. Aurelia has been training all her life to be able to work on the Lunar City as a Medical Professional. On her way to her work assignment, the shuttle she is on is attacked and the next president has an attempt on his life. Aurelia has to quickly learn how to play the politics in this city. But who can she trust? Entangled (Spellbound #1) by Nikki Jefford. Gray wakes up in her sister's room only to discover that she had died two months before and now shares a body with her twin sister. How can she deal with being only half a person and how will the two be able to separate not only their bodies but also their identities? Fugitives (Escape From Furnace #4) by Alexander Gordon Smith. On the run after escaping from Furnace Penitentiary, Alex Sawyer has to face his worst fear and literal demon: Alfred Furnace. Natural Selection (Forces of Nature #1) by Elizabeth Sharp. People in Amelia Hoffman's town start dropping like flies and because of her past, she could be next. How can she stop the killer while trying to navigate her way through high school and learning about her secret history? A School For Unusual Girls by Kathleen Baldwin. After accidentally setting her father’s stables on fire while performing a scientific experiment, Miss Georgiana Fitzwilliam is sent to Stranje House. And Stranje House, a School for Unusual Girls, has become one of Regency England’s dark little secrets. Those who don't fit high society’s constrictive mold are sent to Stranje House to be reformed into marriageable young ladies. Or so their parents think. Powerless (The Hero Agenda #1) by Tera Lynn Childs & Tracy Deebs. Kenna has always been normal, but considering the world around her is charged up on super powers, normal just isn't cutting it for her. She sees the world in black and white, but what happens when three villains come in and add a bit of colour? The Clouded Sky (Earth & Sky #2) by Megan Crewe. Sequel to Earth & Sky that follows Skylar's quest to free Earth from the oppressing aliens and the "shifts" they create in history that threaten to tear the world apart. How far is she willing to go to save the Earth and all those she loves? Those Girls by Lauren Saft. A trio of best friends in an elite high school face the new school year together. But ups and downs may drive these girls apart. What is friendship without some backstabbing? Freaks of Nature (The Psion Chronicles #1) by Wendy Brotherlin. Devon is a psion and wants to escape his prison sentence. He is captured by the government along with six other psions. To gain their freedom, they have to bargain their pasts. A Murder of Mages by Marshall Ryan Maresca. The first in a series that follows Satrine and Minox, inspectors in the Maradaine Constabulary, who attempt to solve a series of murders of mages in the city. These Are The Moments by Jenny Bravo. You can't go back. That is something that Wendy has to deal with after her breakup with the love of her life, Simon. But when the two are reunited in the months leading up to their best friend's wedding, can the two move past the heartbreak? Do people really change? I totalled out at 30 books and am actually really proud of myself! I had a really tough month of school but I still made time for my reading! Expect more of the same for June!